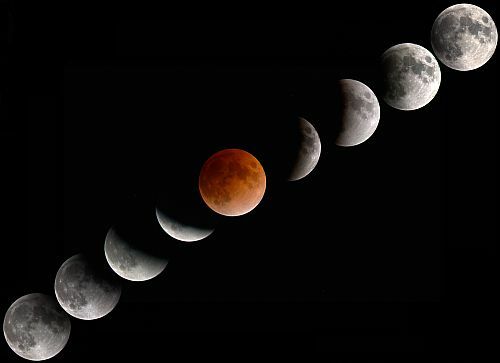 Total Lunar Eclipse will occur between 27-28 September 2015 with newmoon is conjunct Ketu in Meena Rasi (Pisces), according to Vedic Astrology. This eclipse will be visible over Europe, Middle East, Africa, both American Continents and parts of Asia, acific, Atlantic, Indian Ocean, Arctic, Antarctica. It is a long eclipse with Totality lasting 1:11:55 hours, Partial lasting 3:19:52 hours and Penumbral lasting total 5:10:41 hours. Moon will be under complete influence of Ketu (South Node of Moon) during this day and will be aspected by 3 planets (Mercury [retrograde], Rahu, Sun) from Virgo (Kanya Rasi). This eclipse will be affecting people born with personal planets and points at approximately 04 to 10 degrees of the signs Pisces, Cancer, Virgo, Scorpio and Aquarius most significantly. If you live in a place where Eclipse is visible more than 50%, then you will be psychologically effected. People born with moon under Pisces (Meena Rasi), especially in Uttara Bhadrapada Nakshatra, should watch their emotions during next two weeks. Politically, relations between India-Pakistan will deteriorate as both countries are going through Moon (Chandra) Dasa now. More adversely effected will be Pakistan though. In general, this eclipse is good for people born under moon signs and ascendants of Taurus, Capricorn, Libra. People born under Cancer moon sign or ascendant, with moon in Rohini, Hastha, Sravana nakshatras, undergoing moon dasa or bhukti, born with moon conjunct ketu or rahu in their birth chart, need to be cautious regarding their finance, relations, emotions, thoughts this month. Depression, loneliness are to be avoided. Rainfall will be more during September-October 2015. Sun and retrograde Mercury conjunct in Virgo will be good for face-to-face conversations. However, emails, phone calls, letters should be avoided as miscommunication can happen. 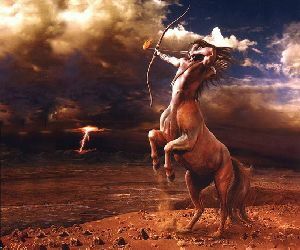 Mars in Leo squares Saturn in Scorpio and this is good time to handle most difficult tasks, but can drain your energies. People with Mars-Saturn combinations in their horoscope should avoid driving and alchohol till end of October 2015.